Who doesn't love FREE food? 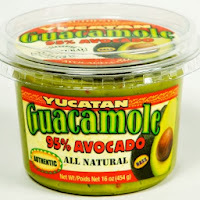 Yacatan is currently giving away 3000 coupon daily which makes for FREE Guacamole at Walmart! If you missed getting a coupon today, just try back tomorrow!